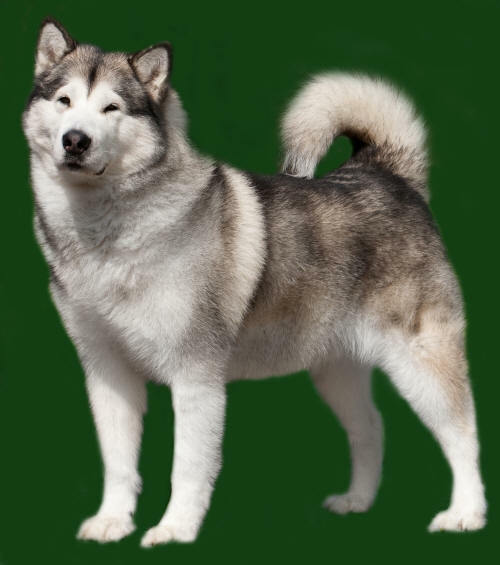 Blue was our first homebred champion and was the son of Tiko x Chyna. 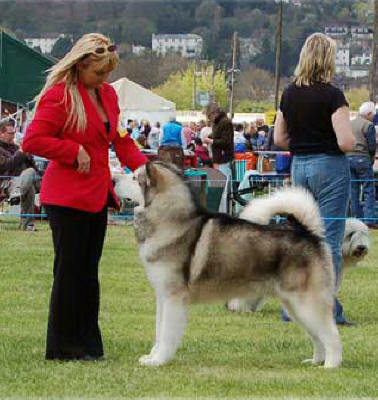 He finished his Championship in three straight shows and was a multiple Group Winner. 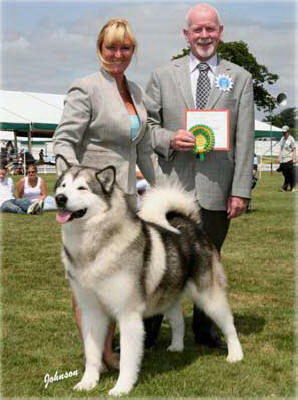 He was during his show career, the youngest Malamute ever to have amassed this number of Group placements. 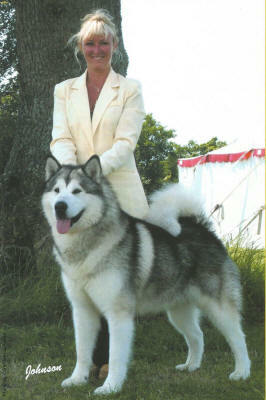 At Blue's 1st show abroad in Belgium, he won the Breed and won his 1st CACIB and CAC. He was also shortlisted in the Group to the final seven. 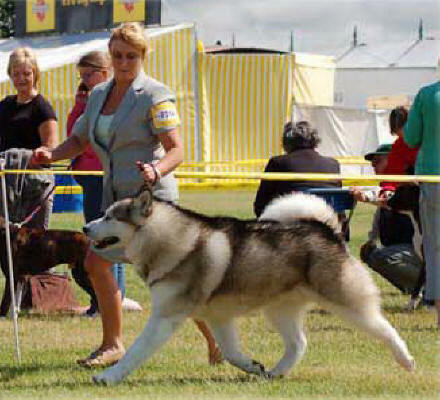 Blue repeated this win in Belgium and Amsterdam 2007 to take his 2nd and 3rd CACIB and the title of Winner 07. 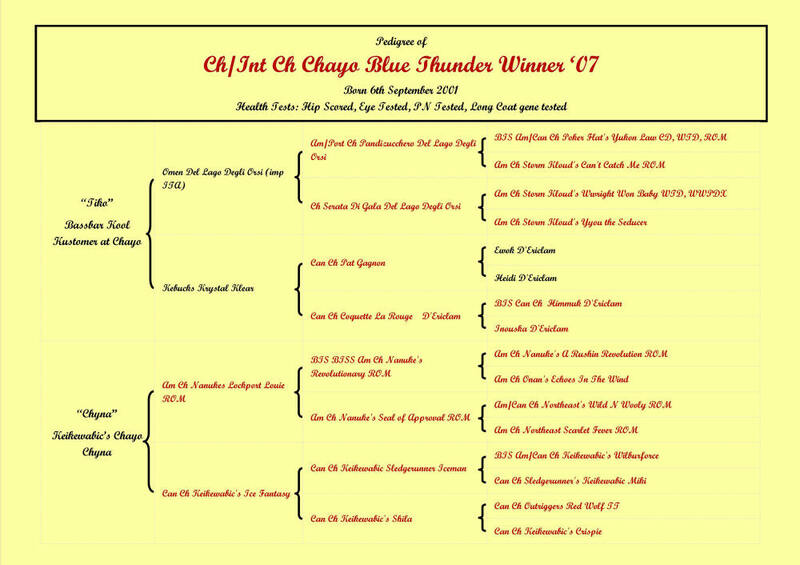 Blue won his fourth CACIB with BOB and Group 2. 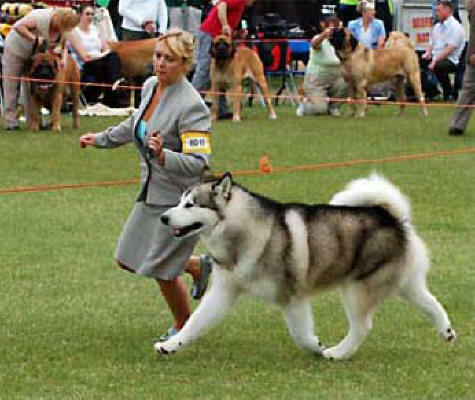 Blue was Best of Breed at Crufts 2005 and shortlisted in the Group. Blue had such a presence both in and out of the Ring. He had a truly magnetic personality and people just gravitated towards him and fell in love with him. He has fast become a most dominant and influential sire, who has stamped his quality and type on many outstanding progeny and top winners including multiple champions worldwide. He is behind nearly all of my kids here at Chayo. Blue had an amazing show career and was my once in a lifetime dog, my best friend. He set the benchmark for all other mals to follow in the UK.